CBS News projects President Obama will win re-election with Ohio giving him more than 270 electoral votes. While the president is already projected to secure the electoral vote, the popular vote remains close. After passing the 270 mark, Mr. Obama sent out a personal message via Twitter to both his supporters and detractors, writing, "We're all in this together. That's how we campaigned, and that's who we are. Thank you." 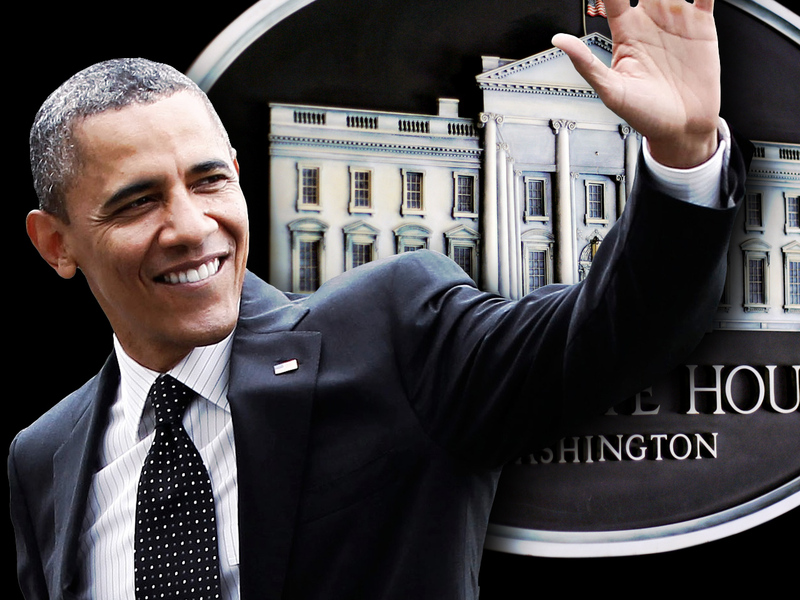 The sluggish economy was considered to be Mr. Obama's biggest vulnerability. Indeed, Mr. Obama is the first president since Franklin D. Roosevelt to win re-election with unemployment above 7.2 percent. However, CBS News exit polling shows voters gave Mitt Romney just a one-point advantage on the question of who would be better at handling the economy. Along with Ohio, Mr. Obama is also projected to win the swing states of Colorado, Iowa, Nevada, Wisconsin, Pennsylvania and New Hampshire. Romney is projected to win North Carolina, making it the first battleground state to fall into his column. Ohio, with 18 electoral votes, is one of the most competitive states on the map. Mr. Obama won the state by 4.6 percent in 2008. In 2004, President Bush won Ohio by 2.1 percent. In 2008, Mr. Obama won Wisconsin by 13.9 percent. The state, which carries 10 electoral votes, hasn't gone red in a presidential election since 1984. Even with Wisconsin Rep. Paul Ryan on the ticket, Mitt Romney faced a steep challenge in his fight for the Badger State. However, the state has been a hotbed of partisan discord in recent years and Republicans saw huge gains at the state level in 2010. New Hampshire has just four electoral votes, but it was one of the most competitive states in the nation -- it's the only state that George W. Bush won in 2000 but lost in 2004. In 2008, Mr. Obama won the Granite State by 9.6 percent. Nevada carries six electoral votes. Mr. Obama won the state by 12.5 points in 2008, and CBS News consultant Stanley Feldman explains that Democrats are coming out in full force for him again: According CBS News early exit polling, 38 percent of voters said they think of themselves as Democrats compared to 29 percent Republican. Iowa, with six electoral votes, gave Mr. Obama his first big victory in the 2008 caucus, and he won the state in the 2008 general election by 9.4 points. Several factors help explain why the state, which has historically been so kind to Mr. Obama, remains tight, according to CBS News consultant Jeanne Zaino.